Gyeon introduced a new product specific to paint protection films at SEMA 2018, Gyeon Q2M PPF Renew. This product was designed to restore, enhance and protect today’s top coated self-healing paint protection films. Paint protection film has in many aspects changed the way we protect our cars. It offers not only chip resistance but a completely new level of scratch and chemical protection. 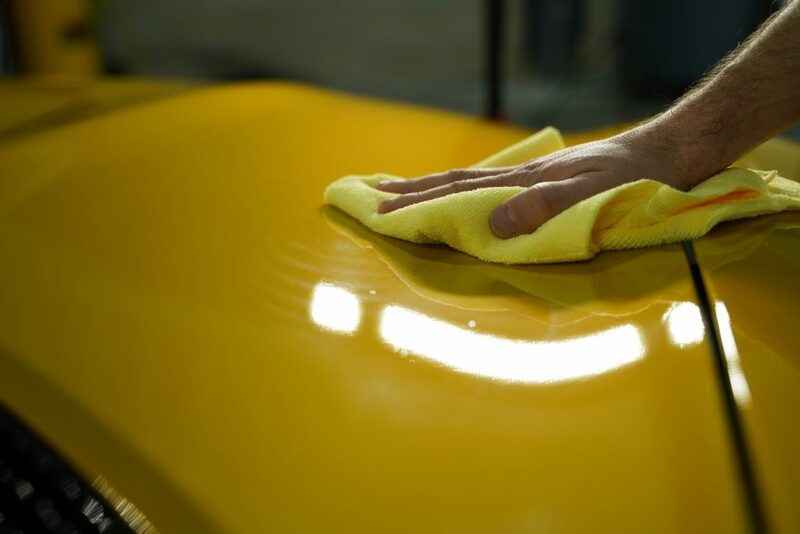 New advanced top coats have allowed PPF to hit new levels of gloss, clarity and improved texture. 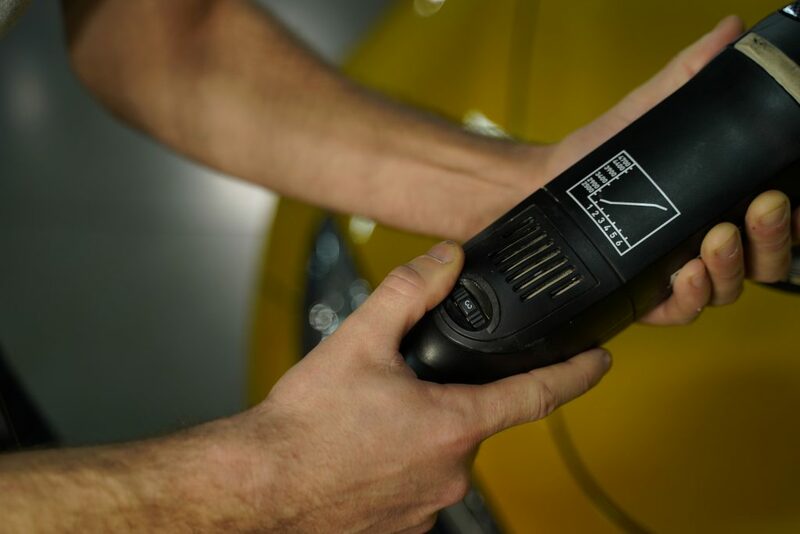 A common misconception is, once a vehicle is protected with PPF, normal paintwork maintenance stops. PPF is meant to allow a vehicle owner to have greater peace of mind. Maintaining that material like any other is key to prolonging its original ascetics. So where does Gyeon PPF Renew fit in? Just like paintwork, PPF takes a lot of abuse over time. To get the most out of your PPF investment, proper washing and decontamination is essential in keeping the film looking its best. But what happens if the film needs a more thorough cleaning? Gyeon PPF Renew utilizes micro abrasives and protective silica additives(for improved water beading) to restore gloss and improve clarity of the film. 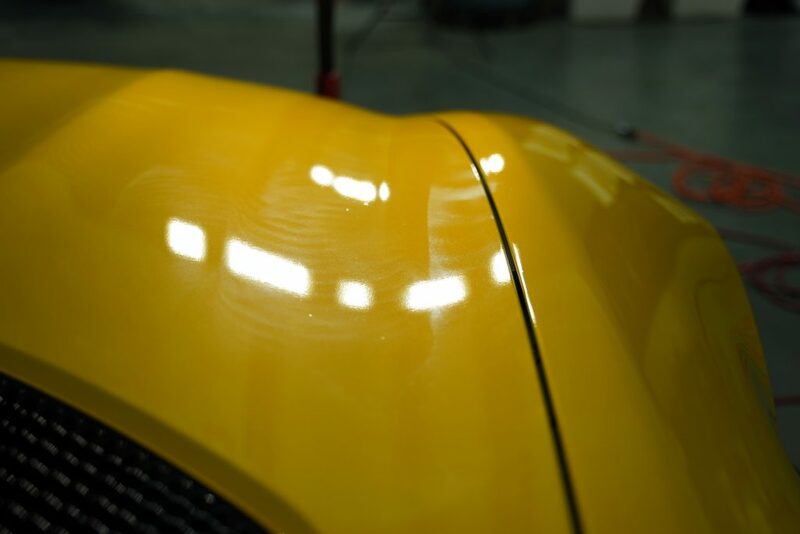 PPF Renew can be used by hand for spot treatment or paired with a DA polisher. The key when pairing with a DA polisher is to use a very light finishing pad. Since PPF of today has advanced top coats, being overly aggressive will only compromise the material prematurely. 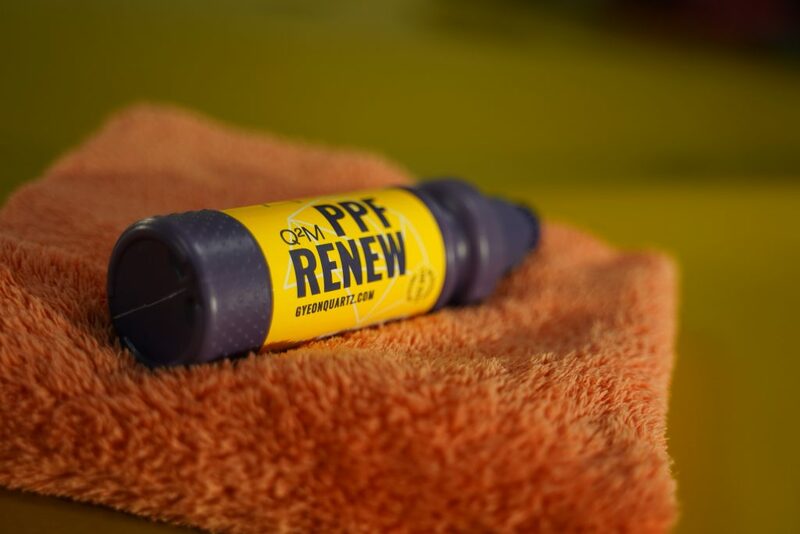 Think of PPF Renew as a facial scrub. What does a facial scrub do? It cleans out the pores and removes deep-lying dirt and oil while also being gentle enough not to irritate the skin. PPF Renew does the same thing, it removes contaminantes like tar, hard water spots and road film when a simple wash method won’t suffice. After SEMA 2018, I started testing PPF Renew on a few vehicles I see regularly in the shop. All of these vehicles had extensive PPF coverage applied over 2 years ago. From my testing, I saw a definitive improvement in gloss of the film while a reduction of haze was noticeable. Now, if older PPF has major issues, like heavy water spotting/staining or discoloration, PPF Renew isn’t going to restore the material. At that point, the material would need replacement. In my opinion, PPF Renew is a good product to turn to, if the contamination issue with the film is relatively new and hasn’t been allowed to bake in over time. The water beading characteristic is one aspect I haven’t been able to follow up on, as we normally apply a sealant over the film after a maintenance check-up. I will be sure to update you on the beading performance as our testing continues. 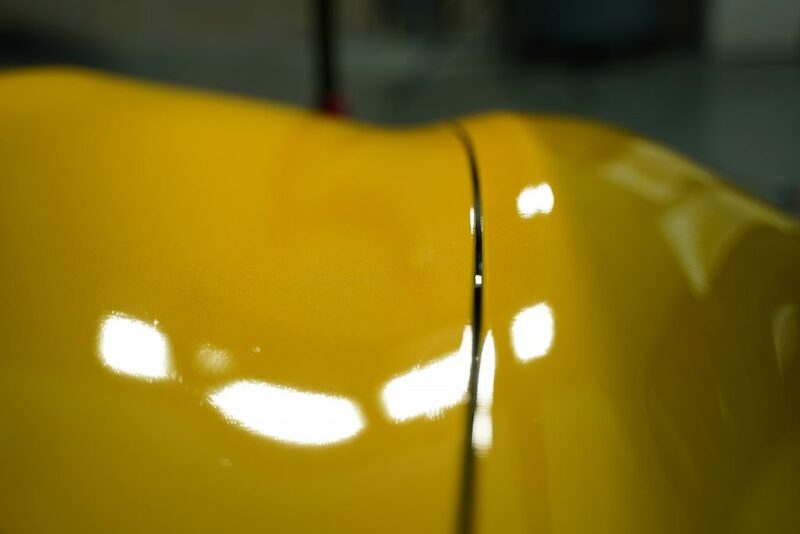 I believe PPF Renew does have a place in our detailing/PPF arsenal to mask/repair minor issues and improve the overall look of many protective films. Great Article James! This product is much needed in the industry. I’ve been using Gyeon products in my detailing venture… I will have to get some for those vehicle protected with PPF. Totally agree, would love to see more ppf specific care products! Thanks for the review. This is an under-served segment of the market and I am happy to see a PPF specific product for this purpose. Can you provide more info on the PPF maintenance process at your shop? How are you performing decontamination; are you using an IronX type product only, or are you also claying? Do you think a ceramic coating can be applied over this product?